National Union refuses to affect Jewish Home leader Rabbi Rafi Peretz as the sole leader of the proposed joint list. The National Union party demanded that the Jewish Home party agreed to a "joint leadership" if the two parties run in a joint list in the upcoming elections. 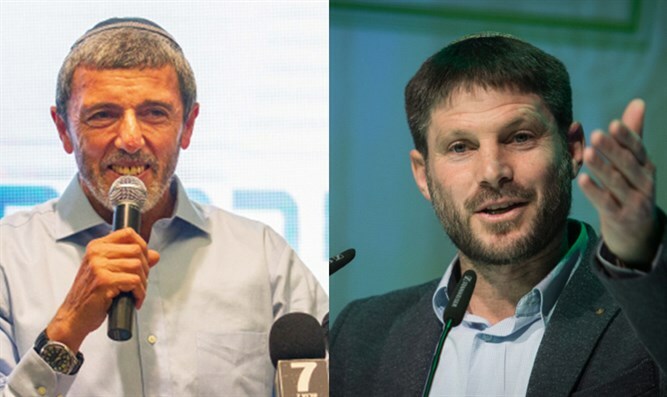 "There is no reason for Rabbi Rafi Peretz to enter under the leadership of Bezalel Smotrich, but not the other way around," a spokesperson told Arutz Sheva. Currently, the Jewish Home Party is proposing that Rabbi Rafi Peretz be the chairman of the united party. He will receive the senior minister and cabinet ministers after the government is formed and the National Union will receive two small portfolios. "This is unacceptable to the National Union." the spokesperson said. The party also thinks that it would be a mistake for Rabbi Rafi Peretz to be a member of the cabinet simply because he is a former security official. "The only basis on which negotiations can be held is equality and joint leadership. Anything else is unacceptable. If he comes as a general and gives orders and acts as the landlord, we have no desire to work with him." Earlier, Samaria Regional Council head Yossi Dagan pleaded with the religious Zionist parties to unites ahead of the upcoming elections.